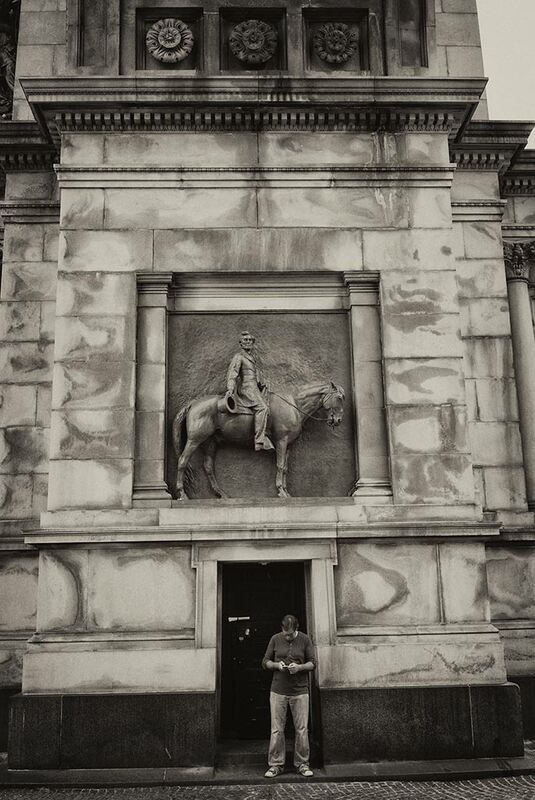 Major General William Tecumseh Sherman laid the cornerstone of the triumphal arch at Grand Army Plaza in 1889. According to one account, art critics did not approve of the final result. 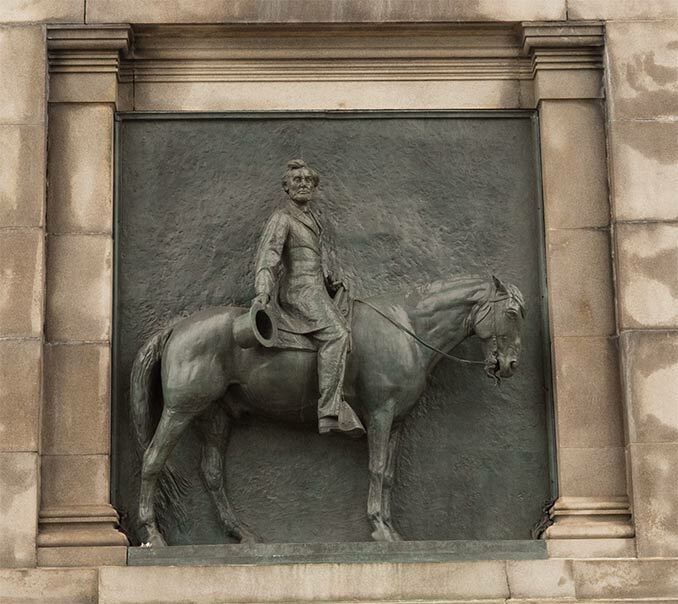 President Abraham (NMI) Lincoln sits his horse.